Harold and Lucille Hargrave’s eight-year-old son, Jacob, died tragically in 1966. In their old age they’ve settled comfortably into life without him…. Until one day Jacob mysteriously appears on their doorstep—flesh and blood, still eight years old. All over the world people’s loved ones are returning from beyond. No one knows how or why, whether it’s a miracle or a sign of the end. 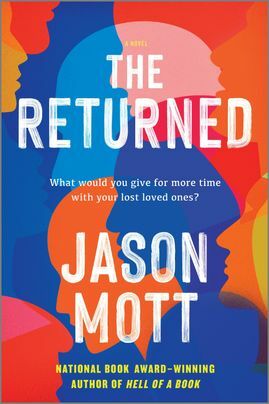 But as chaos erupts around the globe, the newly reunited family finds itself at the center of a community on the brink of collapse, forced to navigate a mysterious new reality.